Joy @ Work—even the P.O. Non-stop, the press reports that the US Postal Service has fallen on hard times, so it really wasn’t a stretch for my expectations to be low. I stood waiting at a local Post Office, a tiny, drafty storefront with just one customer station. I’m amazed they keep such Podunk places open; but then ironically, I still appreciate such convenience. The clerk was working to help the lone customer in front of me, but she was plodding, slow as molasses in January. I was annoyed by the worker’s sluggish pace and oh-so-obvious gift of gab. Certainly, she could move faster and cut with all the superfluous chatter. Some of us have places to go and tasks to accomplish today. Her every move seemed SO slow, and yet accompanied by joy-filled gibberish about everything—from the freezing temp’s to her mild jealousy over a coworker’s trip to Florida. All the while, she was ridiculously focused on serving this woman’s every postal need. Finally, when it appeared all was finished and it would be my turn, I heard, “Oh, now, do you need any stamps? The rate hike happens next week.” “Why, yes, I do,” replied the patron. “Thanks so much!” While maintaining a cool exterior, I grit my teeth. I was about to lose it in exasperation. When will it be MY turn?! Upon further review, three simple, but powerfully important perspectives are present in this little scene. Second, she placed cultivating relationships first, over the robotic, just get-‘er-done approach that runs rampant. In retrospect, kudos to post office lady for talking it up and putting a passionate priority on the person right in front of you! Kudos to the USPS for encouraging such relational focus in your team members! Third, my uber-conversationalist clerk has obviously learned to enjoy her work while serving others. Can this really be? Is this actually legal? Dennis Bakke has written a rich resource, extolling the practice of joy at work. Many of us were taught, our upbringing implied, or perhaps we mistakenly inferred, that work was a wicked result of the curse of sin, a rascally consequence of the biblical Fall (Genesis 3). In reality, work was part of God’s wonderful, original framework. He personally accomplished amazingly good work with the Creation in Genesis 1. Humans were created “in his image” (Gen. 1:26-27). Since we first encounter God as the ultimate worker, we must conclude he planned for us to be productive, creative workers as well. Genesis 1 makes it clear that at the wrap-up of each day, he found great joy, as he repeatedly labeled his work “good” and “very good.” He assigned the humans to “work” the Garden (Gen. 2:15). Certainly, the consequences delineated in Genesis 3 include work becoming more sweaty and arduous. However, in light of God’s original intentions, we dare not conclude that God intended our perspective on work to be perpetually horrific, a kill-joy outlook. Consider this: a part of Christ’s redemption includes our attitude in our work. Just last week, Pope Francis tweeted: “If we live the faith in our daily life, then our work too becomes a chance to spread the joy of being a Christian.” There’s a wave of fresh realization—our perspective can become more like my exemplary postal worker. Finally, it was my turn at the P.0. My package was quickly stamped. I paid. She smiled and talked. 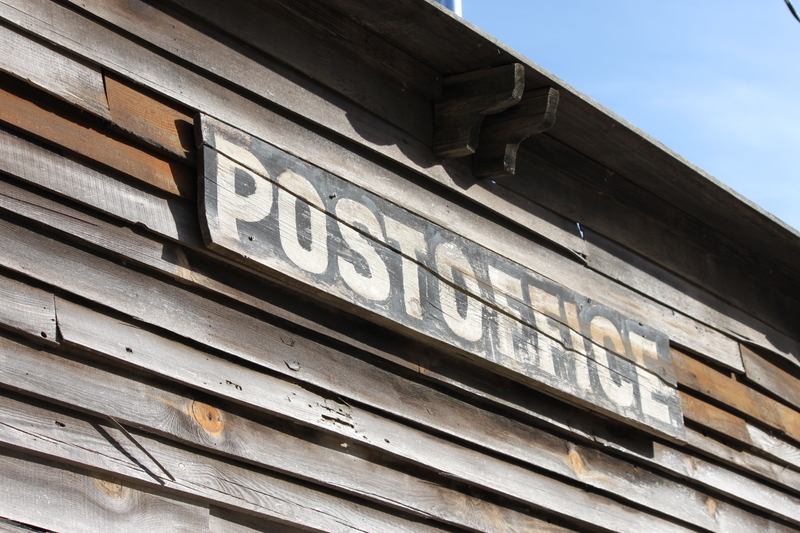 “I’ve worked for the Post office for 37 years. I really enjoy my job!” I grinned and replied, “It’s obvious; you exude joy! Thanks so much.” She beamed a big smile, and so did I. I was extra-glad that a few moments before, I didn’t go postal. Dennis Bakke, Joy at Work: A Revolutionary Approach to Fun on the Job, (PVG, 2010). “I’m afraid my new bright idea will never catch on. What if we fail? What if sales stay flat-lined for five straight months? 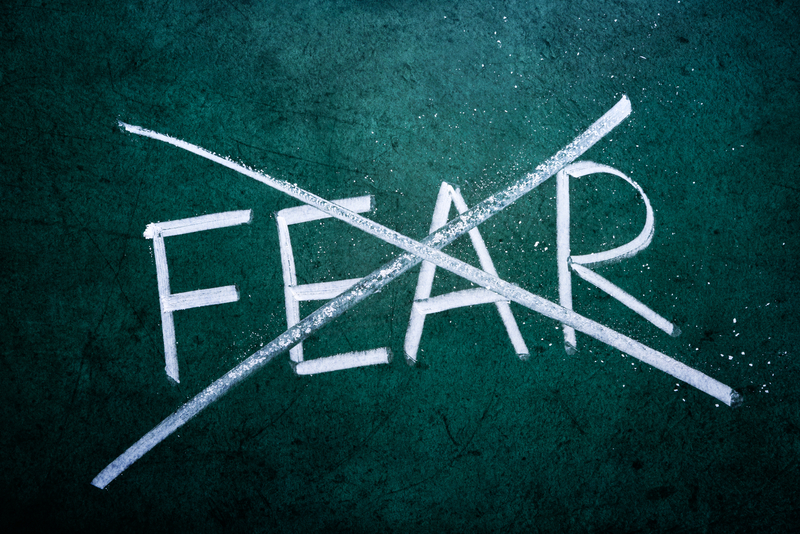 I’m scared we won’t be able to handle the pressure.” A host of fears can haunt even the best of your business psyche. Perhaps 2013 found you gripped with workplace paranoia. Fortunately, the New Year holds opportunity for fresh courage in your business endeavors—and every new life challenge in 2014! I recently had the privilege of interviewing Donna Alexander. She opened an amazing business in 2012. Pies Galore and More supplies phenomenal baked goods to residents in Lancaster County, Pennsylvania—but what Donna has created is so much more than delectable pastries. She’s launched a wonderfully inviting atmosphere that serves as a connecting point in the community. Donna has demonstrated tremendous courage in the opening two years. I was curious how she is conquering her business fears, so I tossed some big questions her way. Pletch: What did you most fear about starting your new business? Donna: Fear of failure—would the business really work or would I be completely embarrassed and lose a lot of money trying? And just to be clear, my fear-conquering is still very much a daily work in progress! I suppose we never reach a point (in this life) of having completely won over fear. Pletch: SO true! That’s great authenticity. I’m wondering. Did you have a spot where you almost did not “pull the trigger” or you considered backing out of the start-up? Donna: Once we got going with the process, I didn’t really think about backing out. But I did say “no” to the idea a couple of times when it was it was first presented to me. I didn’t think I was ready for it; the expense and risks seemed too scary. God kept bringing it back to me, and once I started taking a few steps, the doors started “flying open.” I truly believe now that this is where God wanted me to be, even if I didn’t want to embrace it at first. Pletch: What helped motivate you to take the risk, step out, and go for it? Donna: The encouragement of friends! There were a couple of people who kept letting me know how much they believed in me and the idea. They believed in me more than I did myself, because I tend to be overly self-critical. Second, Christian music has been very encouraging, specifically from WJTL radio. At times it seemed like God was putting together special playlists for me, reminding me of His never-ending presence and His faithfulness. I decided I should give the business a try or I might regret it later. Pletch: Yea, it’s fun to choose to let our fear of regret trump our other fears. So one final question: How has your faith in God sustained you and resourced your leadership and the life of your business? Donna: This has been and continues to be a huge faith journey. I struggle almost daily with my fears and being tempted to despair. It’s easy to wish that the road would be less challenging. Going in, I thought if I could just get through the first year—well, we’re in year two now and it’s still very demanding physically (the amount of hours worked) and financially. But God has continually been there reminding me that I am not alone and that this was His idea, so it should be for His glory. The capstone of the building I’m leasing states that it is to be used “for the glory of God,” and that is what we are striving to do, with His help. I continue believing that He wants to work through me and through this business to touch other people, and that means I have to keep “pushing back the dark” (a line from a song by Josh Wilson playing on the radio right now). Obviously, Pies Galore and More is indeed so much more. Donna is seeking to vibrantly live out her faith through her workplace endeavors everyday—all for God’s glory! What risks will you take this year? How about saying “NO” to those shaking knees and instead, say a big “YES” to taking that bold step forward? Trust God deeper. He is with you. Take more risks, and walk boldly into your no-fear year!